Sleeves? Who needs 'em? 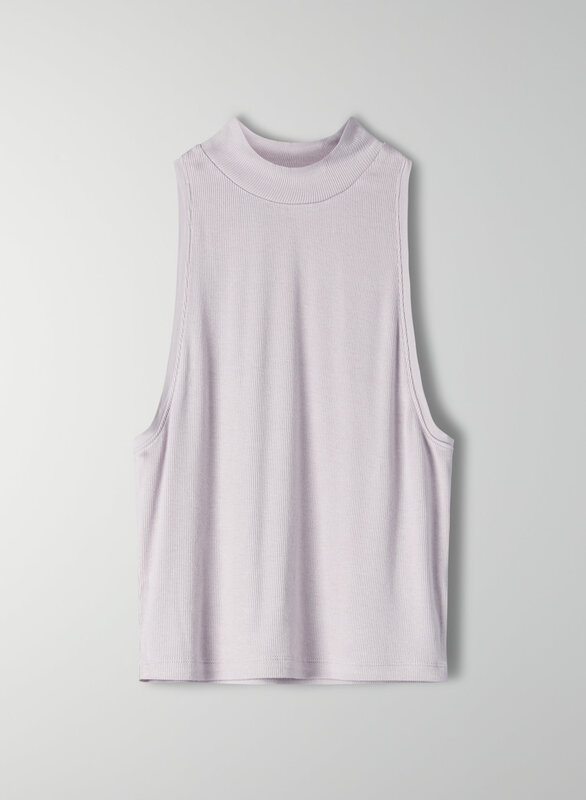 This is a sleeveless halter top with a mock neck and a fitted, cropped body. It's made with a fine rib, stretchy fabric.